Richard Lee Plump, 63, of South Bend, IN slipped the ropes that held him to the pleasures, cares and troubles of this world to be received by his Heavenly Father at 5:54 p.m. on January 19, 2019. He, in his last days, had the benefit of being surrounded by his family and loved ones. Richard married Mona Lisa Broadnax on August 5, 2000. Richard is a South Bend native and a graduate of Riley High School. He will be remembered for his sense of humor and belief that he had become a grill master. Richard confessed a saving faith in Christ. His entrepreneurial spirit turned him into our family's version of Fred Sanford as he would haul junk and move people with his truck. When relaxing Richard preferred to listen to the blues or watch old western cowboy movies. He is survived by his wife Lisa and two stepdaughters, Charmaine Fleming and Kizzie (Juan) Jenkins; he was grandfather to 13. 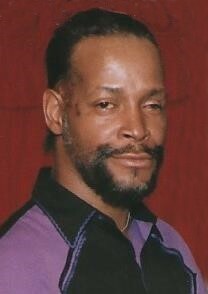 Richard was a twin born to the union of William and Armie Gean Plump (A. Gean Wiley) on August 4, 1955. Surviving him is his twin brother, Raymond L. Plump of Columbus, GA and brothers, Paul Dawning, William “Pops Dawning, Billy Plump, James Edward (Robin) Wiley, and Vincent Wiley all of South Bend, IN, Henry Wiley of Lowell, IN, and Jeffrey (Daisha) Wiley of Indianapolis, IN. His surviving sisters are E. Jean Webber of Chicago, IL, Susan Sharpe and Dr. Paula Dawning of Round Rock, TX, Carol Dowdell, Rose (James) Fulton, and Linda Smith all of South Bend, IN, and Janice (Terry) Smith of Saint Louis, MO. Siblings who preceded him in death are brothers, Tommy Joe Plump, Charles Plump, and William Plump; a special brother-in-law, Nathaniel Dowdell; and sisters, Shirley Ann Wiley, Mary Buggs, Ora Lee Plump-Ewing, Evelyn Plump-Malone, and Dorothy Plump. He is loved and treasured by a host of nieces, nephews, cousins and friends. He sends his last shout out to them all! A Memorial Service will be held on Saturday, January 26, 2019 at 11 a.m. EST, at Alford's Mortuary, 1222 Napier Street, South Bend, IN 46601. In lieu of flowers, you may make a donation to the Grace Hospice Center, 111 Sunnybrook Court, South Bend, IN 46637. The family thanks you for your condolences and support during their time of bereavement. Arrangements entrusted with ALFORD'S MORTUARY.